Leila Olivar was raised in Kea‘au on the island of Hawai‘i and graduated from Kea‘au High School in 2011. 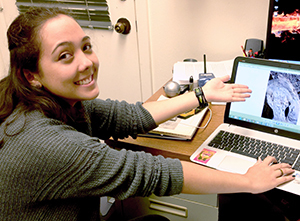 For her first year of college, she attended UH Hilo as a pre-engineering student, then transferred to UH M?noa where she is now majoring in Civil and Environmental Engineering. She plans to further her education by attending graduate school. In her free time, she enjoys going to the beach, hiking and spending time with her family and friends.